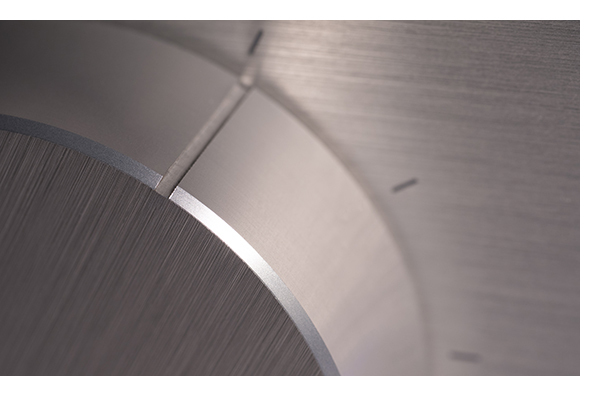 Based in Karlsbad, Germany, Octave Audio has produced meticulously designed audio components for over 30 years. 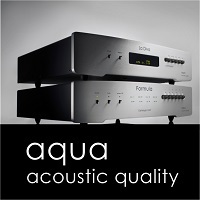 Their HP-500 preamplifier, released in the late 80’s, has gained worldwide respect. It’s still manufactured today, although improvements have slipstreamed over the years resulting in the current SE version. The Octave team never rests on their laurels and continually tackle the challenge of improving on their past designs. 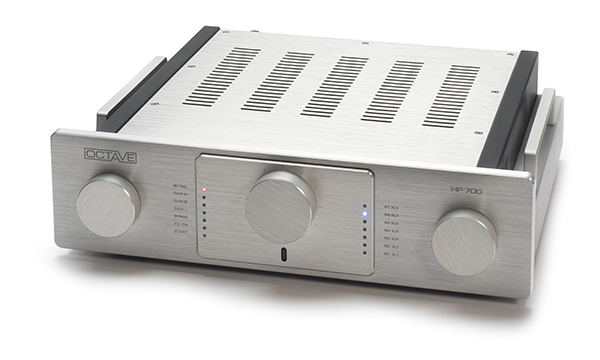 Their hard work results in Octave’s latest flagship preamplifier, the mighty HP 700. It’s a sonic marvel indeed. 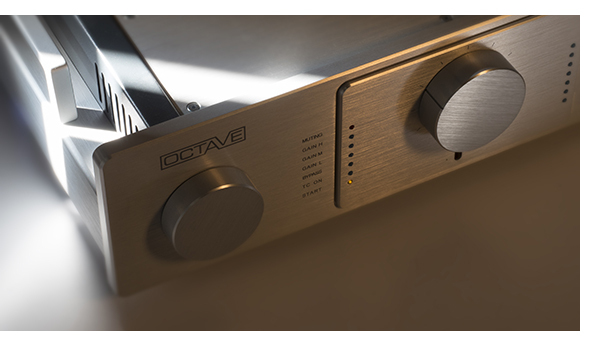 The Octave’s clean and modern look, accentuated with a brushed aluminum exterior, conjures quite a visual impact. At 462 x 130 x 480 mm (W x H x D) and a weight of 10 kilograms there’s no overlooking the HP 700 on an audio shelf. 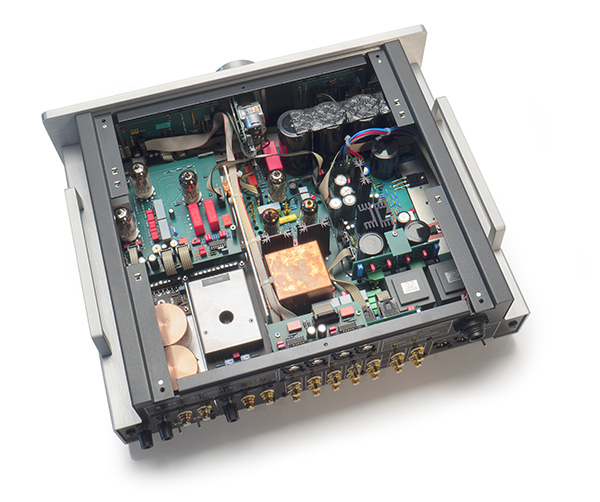 The main unit is flanked by an external power supply measuring 110 x 90 x 277 mm (W x H x D). While the HP 700’s outward appearance is quite dapper, the unit also embodies the spirit of an old proverb: It’s what’s insidethat counts. The most impressive quality of the HP 700 is its versatility. Octave’s design approach involves creation of modular gear that can be tailored to best serve its owner. Rather than fill the chassis with a one-size-fits-all complement of inputs and outputs, Octave gives a prospective owner some say in what gets dropped under the hood. 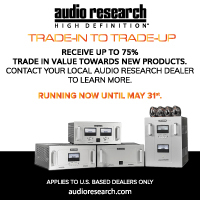 Do you need XLR, RCA, or both types of line inputs? Do you need an MC or MM phonostage? Or both? How about an MC phono input with XLR type connectors? What if you need a step-up transformer? Do they offer that, too? With the HP 700, the answer to any or all of these questions is a simple and resounding yes. Octave will help put together the perfect module complement for the new owner’s needs – there are eight different modules available. 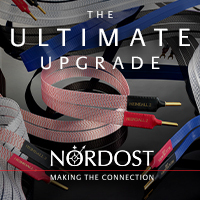 Best of all, should your system needs change later, you can always add or subtract additional modules. Our HP 700 review sample offers a little of everything, so the TONEAudio team had a chance to test it out with a variety of components on hand. The Octave is a tube-based preamplifier; and regardless of modules chosen, the HP 700 requires eight tubes, regardless of configuration. The linestage section utilizes three tubes. There’s a single 12AU7 (ECC 82) required, and Octave makes available choices for the other two tubes needed. With the flick of a switch, an owner can choose to socket a pair of EF184 (EF 800) or D3A tubes. If you really want to start experimenting with tube rolling, it’s also fun to note that the switches can accommodate one of each. The phonostage’s tube complement is a set configuration including one each of type 12AX7, 12AT7, and 6922 (6DJ8). 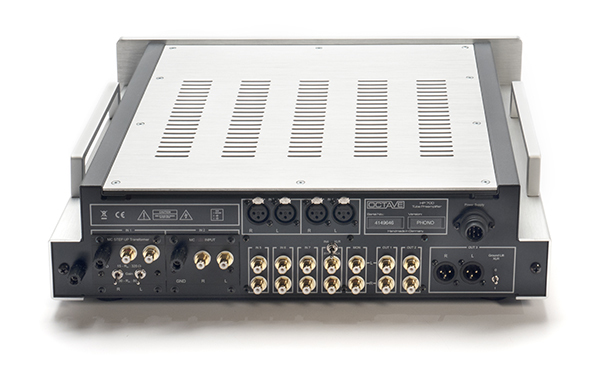 Finally, the HP 700 control unit requires a 6922 (6DJ8) mounted sideways inside the chassis. Setting up the HP 700 is simple, with no unexpected challenges. First, connect the umbilical from the external power supply to the main chassis. A notch in the connector prevents the possibility of misalignment. 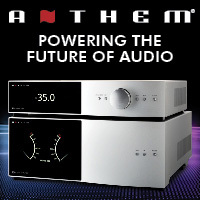 Then simply attach sources to their respective input module connections, choose RCA or XLR outputs to an amplifier, and you’re ready to rock. The three huge knobs on the front panel control all elements of the HP 700’s functionality. The central volume control is flanked to the right by an input selector. A tiny blue LED indicates the chosen source. On the left side of the unit, a third “mode” knob stands at the ready. Its options require a little more explaining. 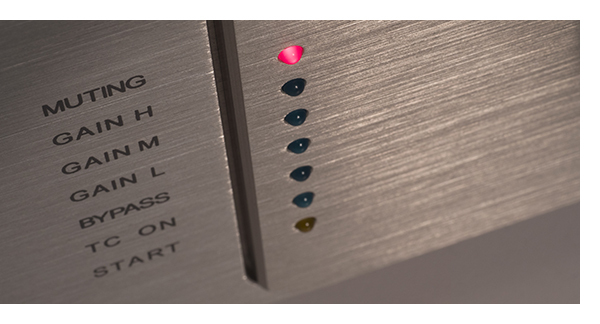 Turning on the power supply, the Mode indicator LEDs keep the user notified of progress. An amber LED indicates the start of a two minute warm up cycle during which the tubes are coaxed to operating voltages. In doing so, HP 700 does its best to extend tube life. During this short delay, a Mute indicator simultaneously makes its presence known until the Octave fully ready for operation. Once there, the mute disengages itself. The Mode knob also offers a low, medium, and high gain setting so the owner can best match the preamp to the source being heard. If changing music sources, the gain can be reset on-the-fly with a tiny twist. 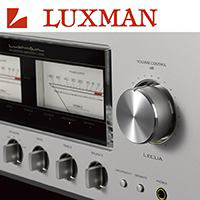 A final setting on the Mode selector offers the option of home theater bypass, disengaging the volume knob and deferring to the home theater processor’s volume settings. Yes, a remote control is included with the HP 700. It’s an example of true simplicity featuring two buttons only: volume up and volume down. It’s difficult pinning down the sonic signature of the Octave when the unit behaves like a sonic chameleon, optimizing any input source and any music genre thrown downstream. No element of the sonic picture seems emphasized or neglected. Music comes out as pure as it did going in. 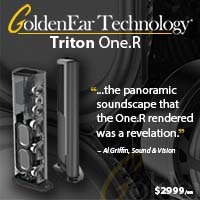 All this creates a fantastic, immersive listening experience. It’s ironic to imply a $20,000 piece of gear does nothing to add or subtract from the sound, but for many that is the holy grail. There seems to be nothing in the Octave design that adds to, or takes away, from the music. Vocals and instruments flow through with a wonderfully organic quality that conveys all the human cues captured in a recording be it subtlety, passion, force, energy, or anything else the performers exude. Because the sound feels so natural, it is very easy to get immersed in long listening sessions with the HP 700. “Nothing” never seemed so beguiling! Of course, to achieve “nothingness”, the devil resides in the details. It’s much more likely the Octave is doing “everything” behind the scenes, but making such a complex task seem easy and seamless to the listener. Reaching conclusions about the HP 700’s sonic attributes takes a bit of time and aural adjustment. At first listen, it seems the Octave lacks a bit of bass heft. But the more I listen, the more that initial perception proves wrong. 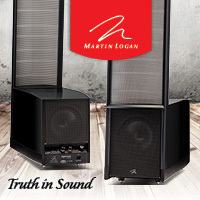 What makes the HP 700 bass response interesting is that it delivers what the music commands it to. No region among the bass frequencies appear accentuated or diminished. There’s no supplemental punch or heft applied. 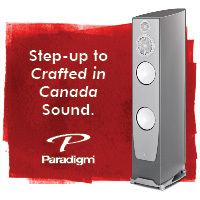 Realistic bass response simply floats from the HP 700 to the amp without coloration or undue emphasis. Similarly, vocals glide forth with a level of smoothness and realism that brings performers into the room. “Wash me Clean” from k.d. lang provides an immersive experience. Complementing her powerful and silky voice, guitar plucks have an organic texture. Small ambient notes slide forth with delicacy. Soundstaging prowess is another Octave strength. Performers and musical cues are scattered across a perceived stage that extends well beyond the speakers. Not only does sound extend well behind the speakers, the HP 700 can place vocals so that they project a bit forward of the speakers. Beck’s album Midnight Vulturesincludes various unexpected sounds like a piece of metal pipe dropped on the floor, and an industrial-sounding machine punch. These elements skip across the soundstage as the sound engineer placed them. Even when a listener anticipates those sounds, the level of realism though the Octave creates moments where sound effects generate head turning surprise. There’s little to criticize about the HP 700, and there’s no question about its overall prowess. Is it perfect? 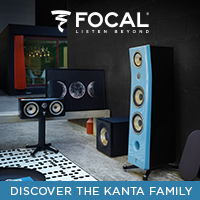 If natural, neutral, sound is what you seek, the Octave HP 700 will serve your ears extraordinarily well. That said, not every audio component is ideal for every audiophile. Those who seek to complement their existing components with a preamp that generates a little extra bass presence, or a warm and laid-back sound, or an extra-detailed and analytical presence will not experience those attributes via the Octave design. 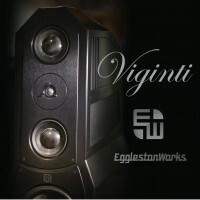 An audiophile with a budget around $20,000 for preamplification is a lucky individual indeed. For that amount, many world-class components are within reach. The question, of course, is which to choose. Making a purchase decision even more complicated, that same amount of money potentially can be divided to buy separate phonostage and linestage components, making a hard decision even more agonizing. After listening to the Octave and experiencing the modular approach they take, I have little hesitation suggesting a prospective owner make the decision easy on themselves and take the plunge on an HP 700 configured to his or her liking. First and foremost, the sound is marvelous. 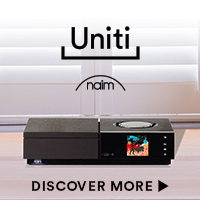 Second, the unit can be configured with line and phono stage modules to accommodate any type of input. Buy what you need now, and add other things you need in the future. Third, gain control options help the Octave play very well with all the other components in the audio chain. Finally, the HP 700’s build quality leaves little to be desired. The Octave HP 700 is a marvelous piece of audio gear, and those who choose to make an investment in one are sure to be thrilled with their purchase for a long time to come. Having spent the better part of a year with Octave’s flagship tube monoblock power amplifiers a while back and a few of their integrated amplifiers as well, the Octave sound, or lack of it, as Rob describes is indeed wonderful. Upon closer comparison to ARC, BAT, C-J and McIntosh, I’d spot the Octave HP 700 a few molecules more tonal body and richness than the current ARC REF components, a few less than the CJ ACT 2 or GAT preamplifiers, a little less dark than the BAT and not quite as syrupy as the Mc MC1000 or MC500. How’s that? 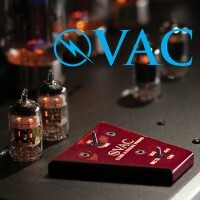 All of the Octave gear I’ve experienced has come across with a lively, dynamic sound high in tonal contrast and saturation without sounding overly tubey; you won’t mistake one for a solid state component, but it is never tube-like in a vintage tube component perspective. What has always impressed with Octave components is their teutonic build quality, attention to detail and Bauhaus – like casework. Plenty of German precision here. Like the other well known brands listed, an Octave component is built to last a lifetime, and as you go up the range, the sonics remain intact, yet each component reveals more music than the one beneath it in the lineup. Designer Andreas Hofmann always runs the tubes in his designs well within their limits, contributing to long tube life, another plus – especially for those making a substantial investment in vintage tubes. Putting the HP700 through its paces with a wide range of sources and power amplifiers, both single ended and balanced reveals no difference in sound quality between outputs, making it an excellent choice for those prone to swapping amplifiers on occasion. 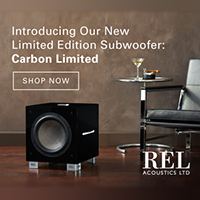 Should you have the budget, I’d highly suggest their Jubilee monoblocks, a combination I’ve heard many times with excellent result. The phono section is particularly good, and is reminiscent of the Octave Phono Module that we reviewed some time ago, in terms of sound quality and functionality. 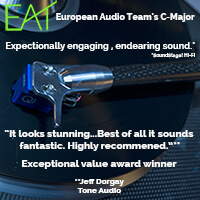 It works well with every MC and MM cartridge we were able to pair it with, and provides a level of sonic excellence that is in keeping with the rest of the preamplifier; vinyl playback is clearly not an afterthought here. 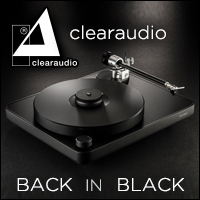 Considering rack space is often at a premium, mating the HP 700 with a two tonearm turntable makes for a formidable analog based system with a minimal footprint. The HP 700 offers some other novel technological goodies, that in addition to the modularity, really make it future proof; another consideration when writing this kind of check. Along with the option of setting gain, you can also set the output impedance to perfectly match your power amplifer and cable length. Precision tone controls are available as well as a stepped attenuator. Additional modules have a cost of between $475 and $2,750.